If my three hours was any indication, buying a good backpack is not an easy task. With hundreds of backpack manufacturers and styles, it can understandably be overwhelming. Whatever you do, don’t go cheap. You’ll be doing yourself a disservice and end up buying a new one anyways. A good backpack is an investment. You needn’t spend $500 on a backpack, but be wary of cheap, no-frills, run of the mill $70 brands, as you’ll regret the design flaws and absence of extras. Spend a little more for a good backpack from a trusted brand, and it will be your companion for many trips to come. The Osprey pack I eventually settled on has traveled with me from the U.S to the Middle East for 10 awesome years and I know it has another good 10 years to go. 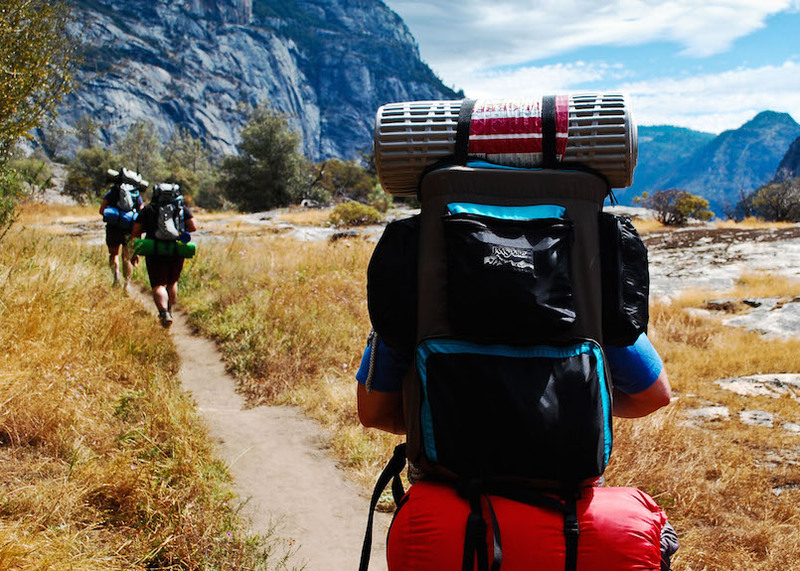 Before you begin shopping for the right pack, it’s important to know the difference between travel backpacks and hiking backpacks. A travel backpack is a backpack-suitcase hybrid with a zippered side panel similar to a suitcase. Hiking backpacks are the more commonly seen cylindrical top loading packs with straps, clips and a top lid. Some people have an opinion that hiking backpacks are only suited for the backcountry and has no place for the backpacker, I disagree. What works for you ultimately comes down to personal preference and style of travel. Travel backpacks are great for easy, organized access to gear and transporting from hostel to hostel. They also function well for short walks or even as a daypack.